Just a quick note to you! We are going to a biweekly update on these posts beginning today. I will continue to update and make additions where needed between posts so check back often. Be sure to subscribe to this blog with the box at the bottom so you won’t miss anything! To have your event considered for addition, drop me a line at shirleywood97@gmail.com. Macon Dragon Boat Races are Saturday April 18th at Sandy BLake Tobesofkee. The races begin at 1pm. Second Annual Family Financial Wellness Fair April 18, 10 a.m.-2 p.m., in the University Center on Mercer’s Macon campus. Free and open to the public, will include services such as credit reports and credit scores for the first 100 participants, consultation with certified financial planners, seminars on the Affordable Care Act, student loans and credit reports, activities for children and door prizes. Houston County Friends of Library Old Book Sale April 30-May 2. Perry. Georgia Building of the Ga. National Fairgrounds. Strawberry Festivals! My favorite, of course…but it looks like I would enjoy most of these events! We enjoy the Strawberry Festival as well. We bought our Japanese Maple at the Strawberry Festival many years ago and it is just beautiful. 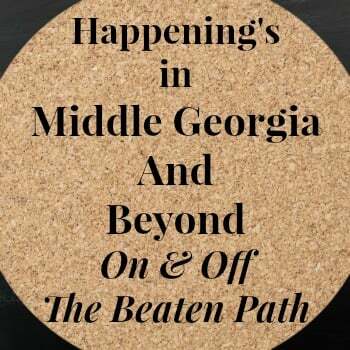 This festival is a nice one off the beaten path in rural Georgia. Would love to be able to attend the Vidalia Onion Festival – yum! I remember playing against Cochran when I played basketball in middle and high school. Such great memories! Thanks for sharing, Shirley! We have never been to the Vidalia Onion festival but would love to go. It’s a bit of a journey for us but it sounds like one of the best festivals around. Cochran has a lot to offer! That Bluegrass festival sounds like fun to me. The Hillside RV park is HUGE with a lot to offer including cabins for rent! It looks like fun!